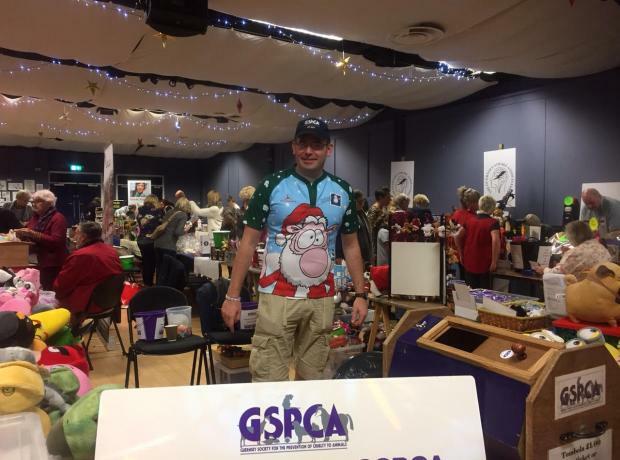 On Sunday despite the awful weather a team of GSPCA volunteers headed to Beau Sejour to join the wonderful annual Round Table Christmas Fayre. The team arrived and started to set up at 8am ready for the droves that arrived when the doors opened at 9.45am. Helen Holmes, Jo Fox, Joseph Fox and Steve Byrne were kept very busy all day serving the many customers who shopped for their gifts off our stall, Christmas cards, teddies and playing the many games we took along. This weekend we are at the Guernsey Round Table Christmas Fayre which will be held at Beau Sejour Leisure Centre from 10am to 4pm on Sunday 20th November 2016. Entry to the Christmas Fayre is free and the GSPCA will join many local charities with a variety of gifts and festive games. 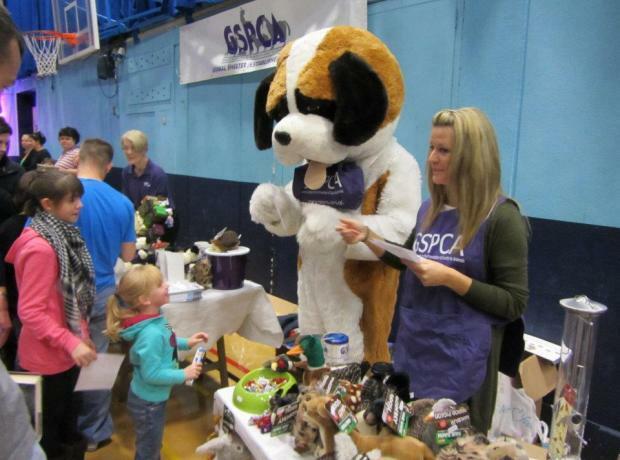 On our stall we will have GSPCA goods like hoodies to teddies, tombola games, pet supplies, pet stockings and much more. We look forward seeing you there and thank the Round Table for organising this fantastic annual event. On Sunday the GSPCA took a stall along to the Les Cotils Christmas Fayre where we managed to raise £250. After a wet windy day out in the weather on the Saturday the team enjoyed the warmth of Les Cotils and not only saw hundreds of visitors we even saw Santa pop by. With all sorts of Christmas gifts on sale and games to play lots was raised for the animals at the Shelter. We would like to thank all that organised and supported what was a lovely day. Yesterday a team of GSPCA volunteers headed to Beau Sejour to join the wonderful annual Round Table Christmas Fayre. The team arrived and started to set up at 8am ready for the droves that arrived when the doors opened at 10am. Helen Holmes, Jo Fox, Yvonne Chauvel, Joseph Fox, Ellie Fox and Steve Byrne were kept very busy all day serving the many customers who shopped for their gifts off our stall, Christmas cards, teddies and playing the many games we took along. This weekend we are at the Guernsey Round Table Christmas Fayre which will be held at Beau Sejour Leisure Centre from 10am to 4pm on Sunday 22nd November 2015. We are at the Guernsey Round Table Christmas Fayre which will be held at Beau Sejour Leisure Centre from 10 am to 4 pm on Sunday 17th November 2013. Entry to the Christmas Fayre is free. There will be lots of activities and fun and games. Many Guernsey charities will be selling lots of goodies to raise funds.